Drama. 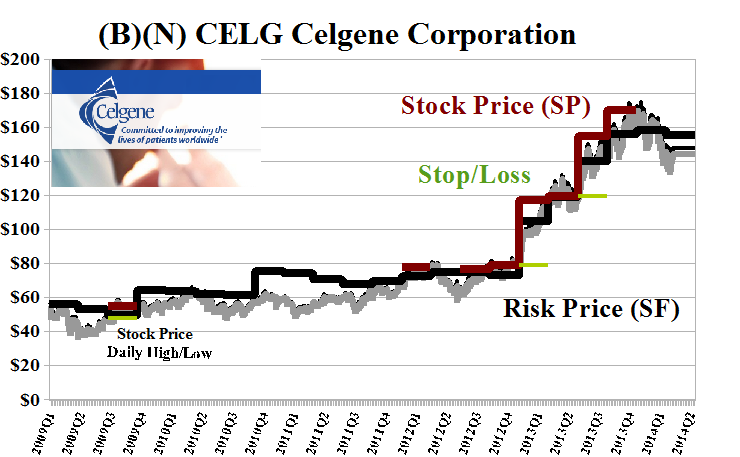 Celgene Corporation – they say – is another “good” pharma stock that’s ready to take-off (again) and that it ought to appeal to “value investors” who are lurking in the basements of corporate misfortune (The Street, April 23, 2014, Celgene to Rise Like a Phoenix: Opinion). Despite what we’ve said, we have no opinion on the stock price – we don’t know whether it’s going up or down or why that might be – and we wish all value investors every success in their future endeavours which is a corporate handshake that is usually reserved for the newly unemployed and possibly unemployable. 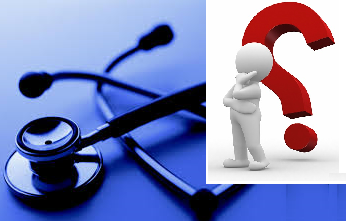 However, we have found that the mid-sized pharma group is an industry that is financed by its shareholders who are forever getting or expecting enhanced earnings reports but are never getting any money except from other shareholders; in that respect, the mid-sized pharma industry is an investor-financed “health plan” for value investors and might be worth every penny of it for those who can still afford its prescriptions. 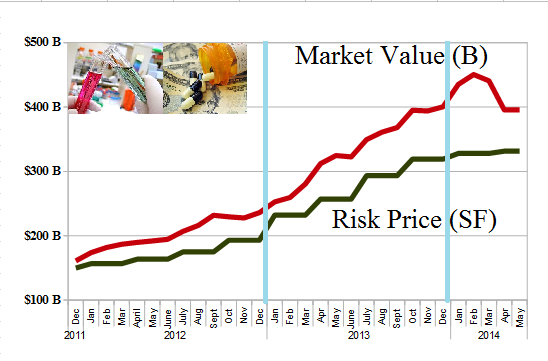 Our analysis assures us that if these pharmas just keep doing what they have always done, every day, Monday through Friday, then their future in terms of the net worth or shareholders equity is already here and can only become less not more. Please see Exhibit 1 below for the healthy fundamentals. This industry was enormous last year and attracted $165 billion of new investor funds for a market gain of +70% and a return of earnings of 16.5% and a dividend yield of 0.5%. Staggering but this year not so much; they’re off $5 billion and minus (1%); please see Exhibit 1 above and the Chart on the left. They also returned +77% in the equal-weighted Perpetual Bond™ which held six or seven of them most of the time and still has four for a return of +5.8% so far this year; please Click on the links (and again to make them larger if required) “(B)(N) Mid-Cap Pharmaceuticals – Prices & Portfolio – April 2014” and “(B)(N) Mid-Cap Pharmaceuticals – Portfolio & Cash Flow Summary – April 2014” for the details. These companies as a portfolio (another concept that eludes “value investors”) are still trading above the price of risk and are therefore “undervalued” as an excess of demand for these stocks at these prices over supply even while they are sporting a [P/E]-multiple of 35×; their debt is only twice the shareholders equity on which they returned +21% last year and selling some of their treasury stock into a hot market is not a bad idea for them; investors are also willing to pay $83 for $1 of their Coase Dividend which is three times what it fetches in the Dow Jones Industrial Companies and the S&P 500 in aggregate (please see Exhibit 1 above). Pulse. Breathing. Heartbeat. Healthy. That’s how easy it is. For more on the pharmas today please see our recent Post (B)(N) Valeant Pharmaceuticals International Incorporated. Celgene Corporation is a biopharmaceutical company. It is engaged in the discovery, development and commercialization of therapies designed to treat cancer and immune-inflammatory related diseases. From the Company: Celgene Corporation, a biopharmaceutical company, discovers, develops, and commercializes therapies to treat cancer and immune-inflammatory related diseases in the United States and internationally. The companys commercial stage products include REVLIMID, an oral immunomodulatory drug for the treatment of multiple myeloma, myelodysplastic syndromes (MDS), and mantle cell lymphoma; VIDAZA, a pyrimidine nucleoside analog to treat intermediate-2 and high-risk MDS, and chronic myelomonocytic leukemia, as well as acute myeloid leukemia (AML); ABRAXANE, a solvent-free chemotherapy product for the treatment of breast, non-small cell lung, pancreatic, and gastric cancers; and POMALYST/IMNOVID for the treatment of multiple myeloma. Its commercial stage products also comprise THALOMID for the patients with multiple myeloma and for the acute treatment of the cutaneous manifestations of erythema nodosum leprosum; ISTODAX to treat cutaneous T-cell lymphoma; and FOCALIN, FOCALIN XR, and RITALIN LA products. The companys pre clinical and clinical stage products consist of OTEZLA for the treatment of psoriatic arthritis, psoriasis, and ankylosing spondylitis; CC-122 and CC-220 to treat hematological and solid tumor cancers; cellular therapies, such as PDA-001 and PDA-002 for Crohns and peripheral arterial diseases; CC-486, to treat MDS, AML, and solid tumors; Sotatercept and ACE-536 for the treatment of anemia in patients with rare blood disorders; CC-223 and CC-115 for lymphomas, hepatocellular, and prostate cancers; and CC-292 for the treatment of chronic lymphocytic leukemia and lymphomas. It has strategic drug discovery collaboration with Abide Therapeutics to enhance the treatment paradigm for patients with immune disorders; and strategic alliance with Forma Therapeutics. Celgene Corporation was founded in 1980, has 5,000 employees and is head-quartered in Summit, New Jersey. And for more applications of these concepts please see our Posts which rely on the Theory of the Firm developed by the author (Goetze 2006) which calibrates The Process to the units of the balance sheet and demonstrates the price of risk as the solution to a Nash Equilibrium between “risk-seeking” and “risk-averse” investors within the societal norms of risk aversion and bargaining practice. And for more on The Process, please see our Posts The Food Chain and The Process End-Of-Process.